Fame is somewhat legitimate. People want to be God. People want to be remembered. Dillon Gallery (555 West 25th Street, NYC) is pleased to present Ultra Violet: The Studio Recreated, April 24 – June 3, on the occasion of the 50th anniversary of the Factory, in which Ultra Violet was a storied participant. For the show, Dillon is transporting the contents of Ultra’s Chelsea studio and installing them, in their exact order, in the gallery. The exhibition offers a unique glimpse into the inner world of an artist who has been creating work for five decades, while also being a muse to Andy Warhol, Salvador Dali, John Chamberlain and Ed Ruscha, to name a few. Dillon Gallery is open Tuesday-Saturday, 10am–6pm. An opening reception will be held April 24, 6-8 and the artist’s performance will be on May 15th at 6 PM. Ultra Violet: The Studio Recreated will feature over 40 works, spanning a temporally and stylistically wide range: paintings, prints, sculptures, neon, found objects and photographs of her beside some of the greatest artists of the 20th century. Some of the most revealing elements are the books, records, tape recordings and films that adorn the studio. 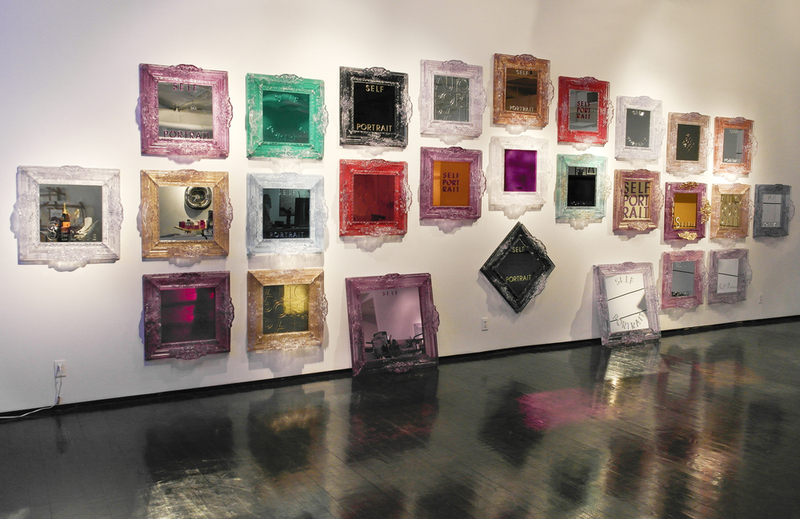 From her early film Last Supper, presented at the Kitchen in 1972, to her recent vanities and Self Portraits (2004), the work included is a rich reminder of Ultra Violet’s singular place in art history.